Imagine a world where advanced cartilage loss and joint degeneration from orthopedic conditions, like osteoarthritis, or congenital disorders, like hip dysplasia, no longer required hip replacement surgery (arthroplasty) to improve mobility and alleviate chronic joint pain. Imagine what it would be like if a simple injection or a minimally-invasive procedure at an orthopedic surgeon’s office was enough to restore movement and improve the quality of life for patients of all ages, backgrounds, and fitness levels, allowing them to remain active well into retirement age and beyond. Although the prospect of tissue engineering might still sound like something out of a science fiction movie or graphic novel, the truth is that regenerative medicine and stem cell therapy have been in development for the treatment of orthopedic injuries for decades. 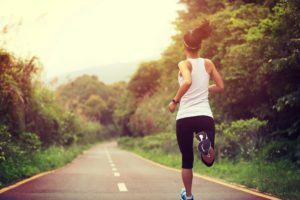 According to a study conducted by researchers at Cytex Therapeutics, Inc. and Washington University in St. Louis, MO, and published in the Proceedings of the National Academy of Sciences journal in June 2016, researchers were able to generate new cartilage from stem cells on a simulated hip joint. With additional gene therapy and tissue engineering techniques, the researchers also modified the regenerated cartilage to issue anti-inflammatory molecules upon stimulation. Using stem cells from adult fat (adipose) tissue, the cartilage can be grown outside of the body, and then transplanted into a deteriorated hip or knee joint in the future, according to the study. Orthopedic medicine research has made great strides in developing less invasive treatments and alternatives to traditional open hip, back, and knee surgery. These minimally-invasive options have dramatically improved the lives of millions of people with degenerative joint conditions and injuries, like osteoarthritis. Hip arthroscopy, for example, allows orthopedic surgeons to diagnose and treat several different hip joint problems without having to resort to complicated surgery, which might result in prolonged hospital stays, extended recovery times, and an increased risk of complications associated with surgery. Additionally, arthroplasty (hip joint replacement) helps older and younger patients alike regain hip function after suffering debilitating and irreversible joint damage. As research and technology progress, regenerative medicine experts will continue to expand on the medical applications of stem cell therapies in the hope that orthopedic surgeons will be able to regenerate new cartilage from patients’ own stem cells. In the future, it may even be possible to prevent the severe joint damage and deterioration that eventually requires joint replacement surgery. Stem cell therapy may help millions of individuals avoid major surgeries or complex and time-consuming treatments or side effects. Dr. Meier and his team at Meier Orthopedic Sports Medicine in Beverly Hills offer a number of regenerative medicine treatments for chronic joint pain, like prolotherapy, platelet rich plasma (PRP), stem cell injections, and Hyaluronic Acid (HA) injections. Prolotherapy involves administering injections made up of a dextrose solution that is injected directly into the damaged joint in order to trigger and accelerate the body’s natural healing response. PRP therapy, or platelet rich plasma therapy is a revolutionary orthopedic treatment option that uses a concentration of the patient’s own blood platelets to help accelerate the healing process for damaged joints, achieve significant improvement in joint function, and reduce chronic pain and other symptoms. Hyaluronic acid is a naturally occurring gel-like substance found within the joints that helps lubricate the joints and absorb the impact of movements, such as exercise. HA has pain relieving and anti-inflammatory properties that, when injected into arthritic or damaged joints, can alleviate joint pain and improve mobility. A series of injections may be necessary over a period of several weeks to achieve the desired outcome. Many people have gained a passing familiarity with stem cell therapy for orthopedic injuries through a beloved sports star or professional team. Treatments like PRP (platelet rich plasma) therapy and prolotherapy injections have been used to help star athletes recover from potentially career-ending injuries, or to help them recover faster after surgery. Whether for a professional baseball player, a weekend warrior training for a triathlon, or a worker suffering from an occupational injury, regenerative medicine holds remarkable promise for effectively treating previously debilitating orthopedic conditions and joint injuries. Prolotherapy injections, platelet rich plasma (PRP) treatments, and stem cell therapy are already helping men and women dealing with chronic joint pain, the effects of soft tissue injuries and cartilage deterioration, and the resulting joint damage that can develop when cartilage begins to erode. The goal of regenerative treatments, like prolotherapy and PRP, is to harness the body’s natural healing mechanisms to help push recovery from sports injuries or traumatic accidents into overdrive. Stem cell therapy uses undifferentiated cells, which can develop into more complex cell types, like cartilage, to help people recover from debilitating conditions. Stem cells can be found throughout the body, such as in fat tissue, bone marrow, and amniotic fluid. To learn more about the benefits of minimally-invasive regenerative medicine treatments, like stem cell and prolotherapy injection therapy, for chronic joint pain and soft tissue injuries, contact Meier Orthopedic Sports Medicine by calling (310) 853-1029 to request a consultation today. Next, read our blog, The 5 Most Painful Hip Conditions.